Since I have an important role in helping Santa arrive at his billions of destinations this year, I have top security clearance at the North Pole. This afternoon, I even got to take a glance into Santa’s bag! I noticed a superabundance of books. Upon closer examination, I realized that many of the books have the same title: New Jersey Folk Revival Music: History & Tradition. I was not surprised! Before reporting to the North Pole for duty, I was fortunate enough to have the opportunity to read this book, published just this month by The History Press. My friend Michael Gabriele is the author. I have always known Michael’s writing to be entertaining and informative. While folk revival music in New Jersey doesn’t involve many symphonies, the effect of this book is absolutely symphonic. 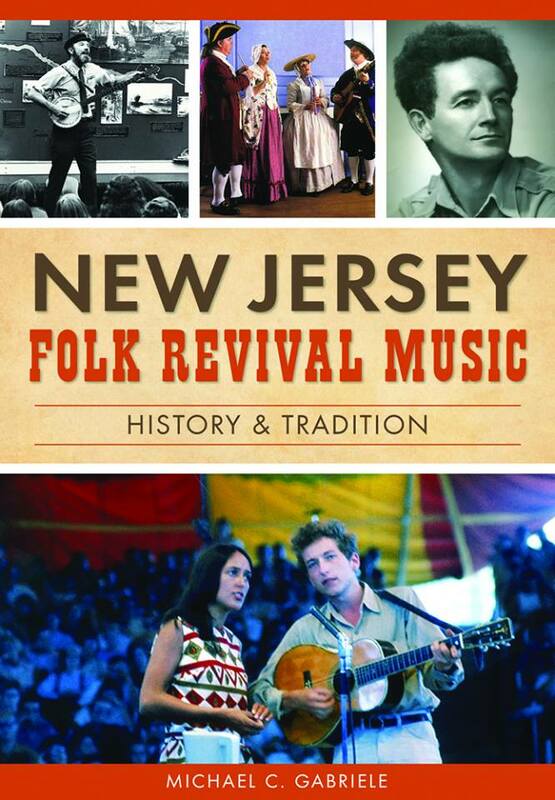 Michael weaves together sparkling threads of history, biography, music appreciation, and eyewitness reminiscences, bringing the fascinating story of folk music in New Jersey to life. Do you know someone who likes music? Enjoys learning about local history? Appreciates creative and clear expression? Lives in New Jersey? If you answered “yes” to any of these questions, you should most certainly follow Santa’s lead and get this book for anyone (and maybe even everyone!) on your Christmas shopping list. Trust me: Santa would never steer you wrong!